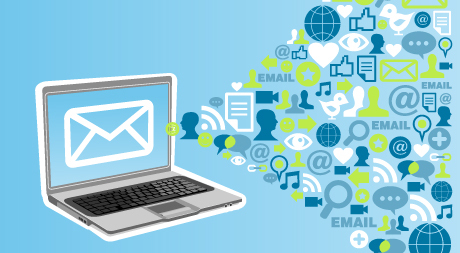 E-mail marketing has long occupied a strange place in the content marketing landscape. It is perpetually underrated, perhaps because it’s not as flashy or simply not as new as Facebook marketing, Pinterest marketing, YouTube marketing, and the like. Underrated though it may be, study after study confirms that e-mail marketing is an essential tool for small businesses—and that in fact, it may be the most potent online marketing tool of them all. Mobile matters. How do most people check the bulk of their e-mail? Through their smartphones. Mobile use has increased 400 percent since 2011 alone, making it a must for marketing e-mails to be formatted for mobile. HTML is the way to go. When using an e-mail platform, it’s preferable to use an HTML base rather than a text one, as it allows for e-mails to include bold, italicized, and colorful text; a majority of consumers prefer these more eye-catching e-mails. Consumers are using e-mail filters more and more. Knowing what the filters look for is essential. Consumers don’t necessarily reject all marketing e-mails, but they are picky about what they save and what they delete. Offering attention-grabbing subject lines that convey immediate and actual value is the key. Make it clear that you’re not just talking up your brand; you’re offering something customers might truly be interested in. For small business owners, e-mail marketing is a must—and you can perfect your e-mail marketing measures by checking out all of this impressive and illuminating data. You can also hire a top-notch marketing team! Call the Grammar Chic team today at 803-831-7444, or visit www.grammarchic.net.